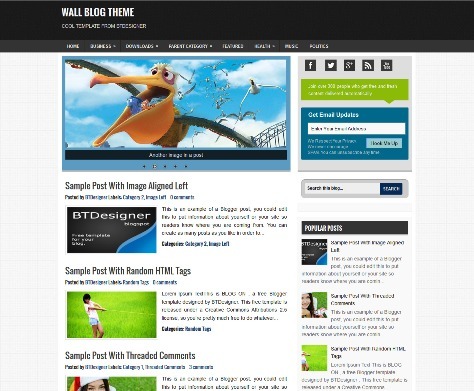 Wall Blog Free Blogger Template with 2 columns, right sidebar, drop down navigation menu, breadcrumbs, ads on header and footer ready and customized area comments. 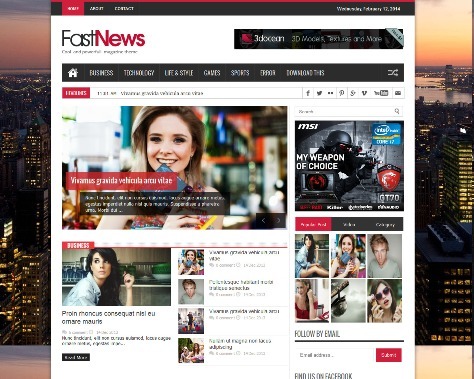 FastNews is a Free Blogger Magazine Template with Responsive Design, SEO Optimize, Related Post Widget, 3 Column Footer Area, Ads Banner Ready, Build drop down menu, Threaded comments and Custom Error 404 Page. 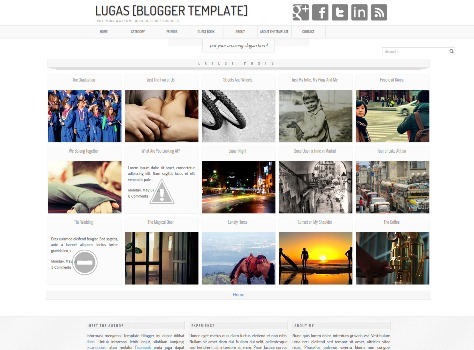 Lugas Blogger Template is free premium blogger template with easy design, wordpress look, one column on homage, social profile, two column on postpage and related post. 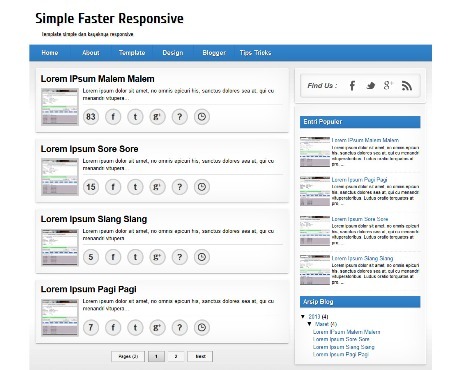 Simple Faster Responsive Blogger Template with Fast Loading, Responsive Design, Simple design and more. 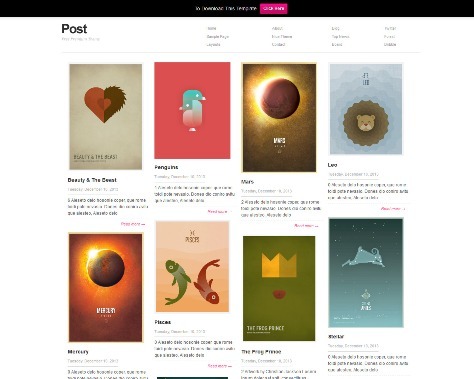 Post is a Minimalistic and Pinterest Style Blogger Template. Features are WordPress Look, 2 Columns, Featured Content Slider, Right Sidebar, Fixed width and more. 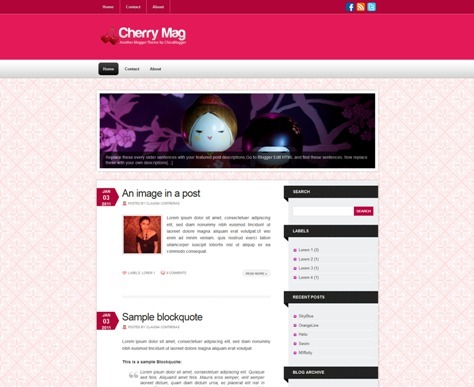 Cherry Mag is a Free Blogger Template with 2 columns, Ads ready, Crossbrowser Compatible, jQuery tiptip and more. 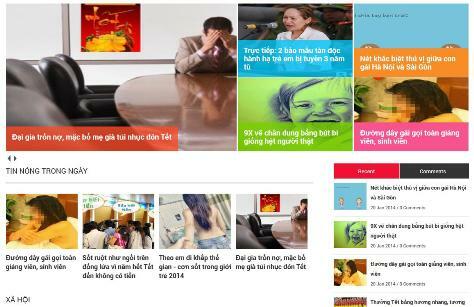 VNews Pro is a Free Blogger Magazine Template. 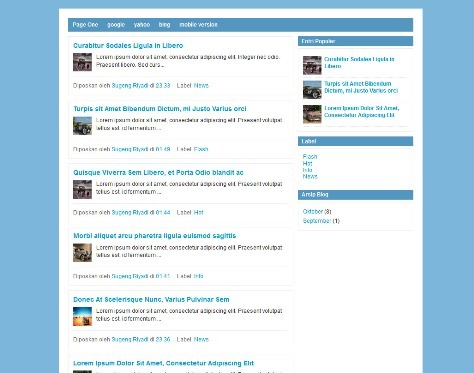 Pageone is a Free Blogger Template with SEO Ready, Page Number Navigation, Auto Readmore, Breadcrumbs and more. 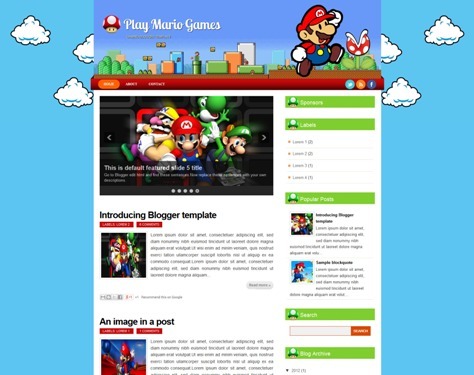 Play Mario is a Free Professional Games Blogger Template with 2 column and 3 colum footer.